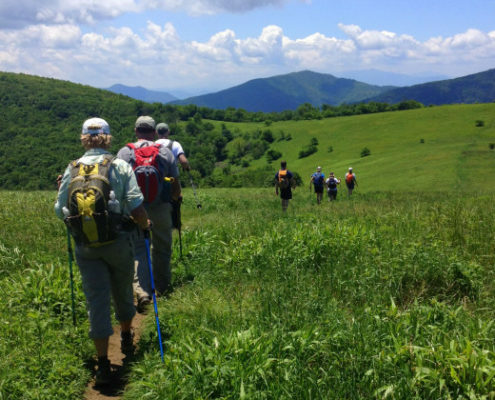 Our foundation dates to the early 1950’s, when the Appalachian Trail Conference decided to reroute 26 miles of road-walking in Tennessee with 72 miles of new trails across the mountains. 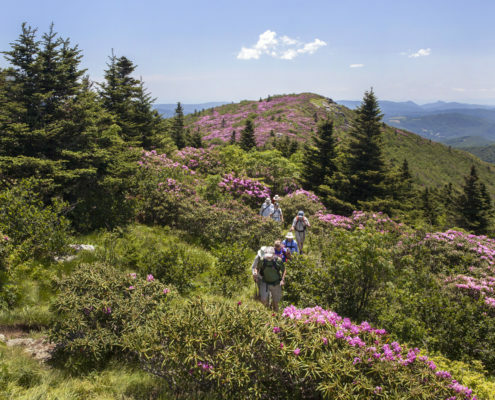 This ambitious trail relocation was championed by our founding members, who also created a visionary plan to protect the many-textured treasures of the Roan Highlands and the Southern Appalachians. 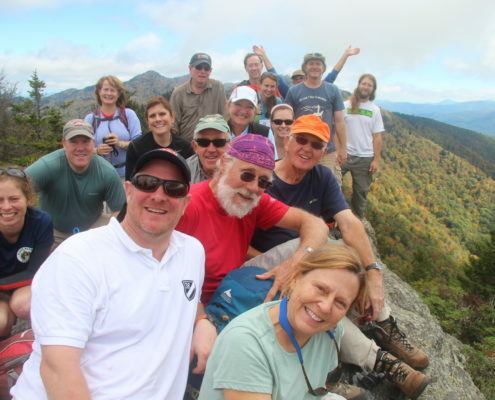 To fulfill that vision, they formed the Southern Appalachian Highlands Conservancy in 1974. 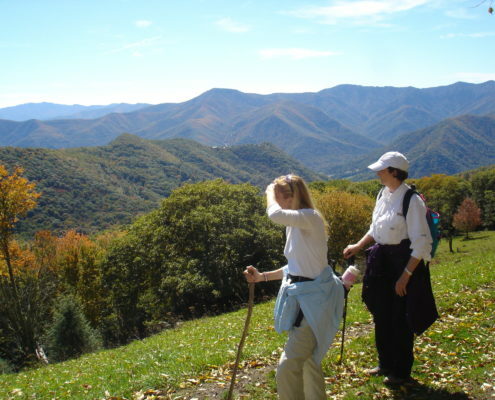 Stan Murray formed the Roan Mountain Preservation Committee (RMPC) as a committee of the Appalachian Trail Conservancy with the purpose of preserving the unique and natural environment along this section and maintaining a continuous right of way for the Trail. The first meeting of the Roan Mountain Preservation Committee was held at the home of Hugh Thompson in Johnson City, TN on November 11, 1966. Recognizing that focusing narrowly on protecting the Appalachian Trail corridor alone would not suffice to preserve the many-textured treasures of Roan and the Southern Appalachian Highlands, members of the Roan Mountain Preservation Committee formed an independent, 501(c)3 land trust in 1974: The Southern Appalachian Highlands Conservancy. Expanded regional focus to include areas outside the Highlands of Roan. In the early 1990s, SAHC expanded its focus areas to include critical conservation lands outside the Highlands of Roan — including the high elevation peaks of the Craggy and Black Mountains, the Balsam Mountains, and the French Broad River. In 1992, SAHC accepted its first conservation easement: 220 acres on Hemphill Bald at Cataloochee Ranch in Haywood County, NC, on the edge of the Great Smoky Mountains National Park. 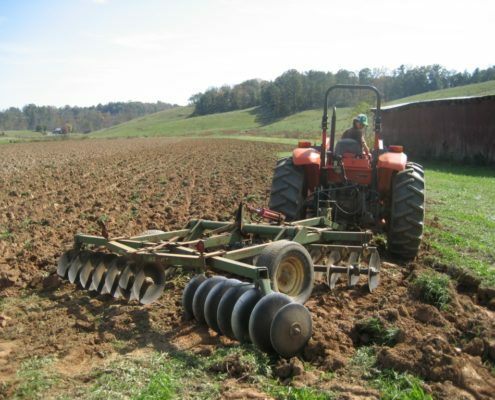 Recognizing that local farmland is being lost to development at a rapid rate, in 2005 SAHC created a Farmland Program to assist farmers in preserving vital agricultural resources for the continued production of local and sustainably grown food. Accredited by the national Land Trust Alliance. We completed a thorough and rigorous process to become accredited by the national Land Trust Accreditation Commission, an independent program of the Land Trust Alliance. 75,000+ acres protected, and growing!